Looking for a property in Rajakilpakkam? Have a property in Rajakilpakkam? Good place for the people who wants calm environment. Easy access to IT Parks. Rajakilpakkam is one of the residential place in South Chennai. 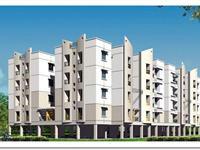 Has easy access to Tambaram and Velachery. Good and well established schools are near by. Rajakilpakkam, Chennai is rated 6 out of 10 based on 1 user reviews. Have a good knowledge of Rajakilpakkam? Share it and become a Locality expert.